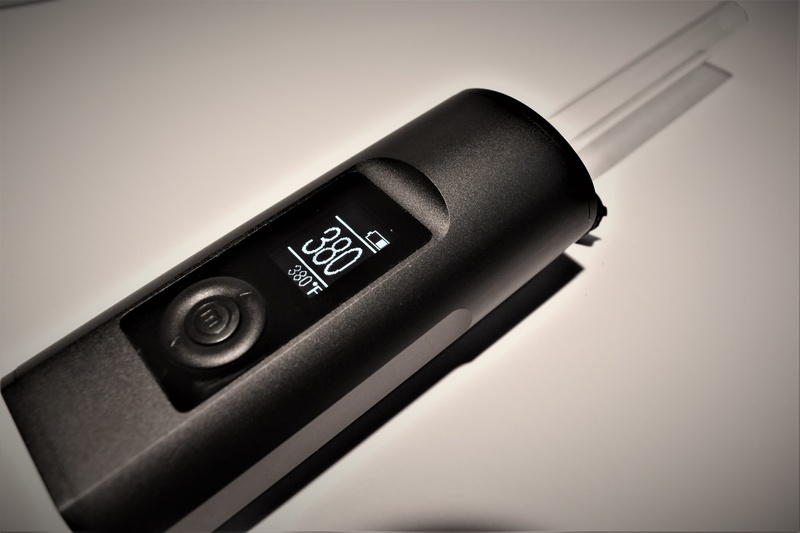 Arizer is known to be one of the elites when it comes to vaporizers and the Solo, it’s premiere vaporizer, is considered a legendary unit in the vape world. The Solo II is everything the Solo is and better, with many new upgrades and additional features, the Solo II has the strong reputation of the Solo soaring to new heights. Sleeker in size, faster heat up time, digital display and a better battery are just 4 of the noticeable upgrades that Arizer has delivered with the Solo II. 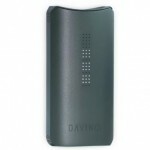 The Solo II is very similar in design to it’s predecessor the Solo, but smaller in size which makes it easier to hold. 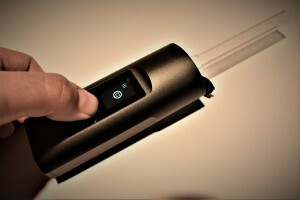 It comes in Carbon Black and Mystic Blue, and like the solo has glass stems that plug into the top of the unit. The oven on the Solo II is the same size and depth as the Solo, so if you have old stems from your previous Solo unit, you can use them on the Solo II. I thought this was great because the Solo II only has a short straight stem and a long straight stem. I liked the bent stem from the Solo, so it was plus for me to be able to use the stems from it’s previous design. The Solo II also stepped it up a notch with the digital display on the front of the unit which displays the temperature. The Solo only had a temperature gauge light system that ranged from 1 to 7 with preset temperatures. Along with temperature the display has easy access to the menu where you can change the temperature reading from Celsius to Fahrenheit, change seconds on start up time, adjust brightness of the screen and sound level. However, also like it’s sibling the Solo, the Solo II is more of a desktop unit than a portable Unit. They both weigh about the same and have protruding glass pipes that would be obvious for use in public and easy to damage as well, that’s why I personally would recommend it’s use at home. I didn’t notice much difference in Vapor quality between to Solo versus the Solo II, which in my opinion isn’t a bad thing because the Solo already was known for its efficient performance. The fact that you can adjust the temperature to a precise degree on the Solo II might make the quality of Vapor coming from the unit a little better in the factor of tasting the flavor but like I said previously I didn’t notice much of a difference between the Solo and Solo II. I start the unit at 360 degrees Fahrenheit and gradually increase it to 400 while vaping. 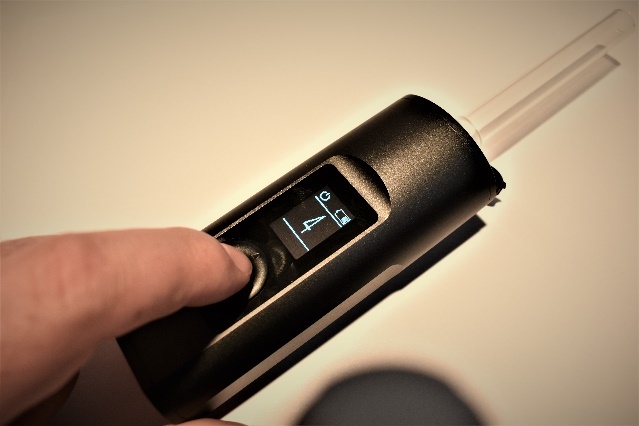 The long stem and short stem draw about the same amount of vapor when hitting the unit, however the long stem I noticed is way cooler at the tip while vaping whereas the small stem heats up a little at the mouthpiece after continuous vaping. To turn on the Arizer Solo II you have to hold the middle button and the up-arrow button right above it and hold it until the digital countdown on the front display finishes, it will greet you with a “Hi :)”. From there it will bring you to the main screen that displays the current temperature, you can change settings in the menu or change the temperature from there. I personally like to have the temperature reading in Fahrenheit as opposed to Celsius, so the first thing I did was access the menu and change it by pressing the middle button until the C for Celsius appeared and I change it to F for Fahrenheit by hitting either the up or down arrow button until it appears on the display. Follow by packing the bowl at the bottom of the glass stem and then insert it into the top of the unit. Do not pack your material in the stem’s bowl too tight because it could interfere with the airflow while vaping. After you pack and load the stem, change to your desired temperature by using the up or down arrows to toggle between temps. Once you have decided on a temperature it will take about 30 seconds to heat up to desired temperature. It will scroll up in degrees by number on screen to let you know when it’s heated by stopping at your desired temperature, there is also a little indicator in the top left corner of the display. Once heated start drawing vapor from the glass stem mouthpiece. I usually start off my sessions around 360 to 370 degrees Fahrenheit and gradually increase it between rips. To access the menu just press the middle button and navigate through the options with the up and down arrow buttons. Arizer claims that the battery in the Solo II will last for 3+ hours in session time. It definitely has a long battery life and easily lasted close to 3 hours if not longer for me as well. This is a nice upgrade from the Solo that lasted about half of that time, which don’t get me wrong an hour and a half is still a long time for a vaporizer battery to last. 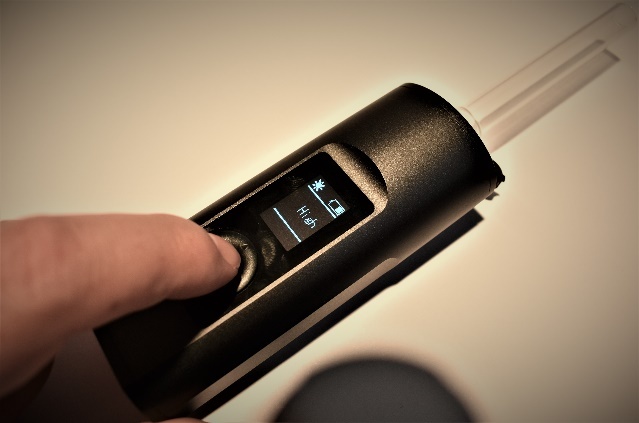 The Solo II is a perfect vaporizer for home use and is definitely an upgrade from the Solo with it’s new sleek design, easy to use digital display, clean vapor quality and long-lasting battery. If you are looking for a portable unit to carry in your pocket to the beach or a unit to have on an outdoor adventure, this isn’t what you should pick for sure. 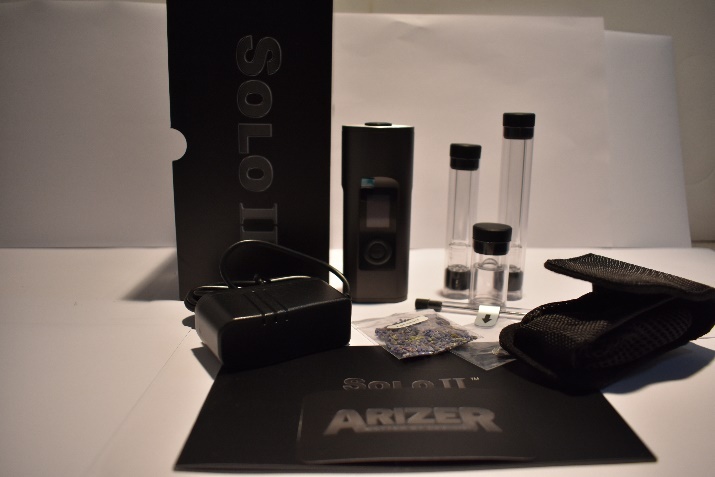 However, if you are looking for an efficient vaporizer to have in your home for personal use this is one of the most efficient ones on the market that lives up to it’s reputable name. Priced around $240 it’s definitely a high priced unit but it competes at the highest standard of performance.